Nendrum make an indelible impression at the National Futsal Finals. 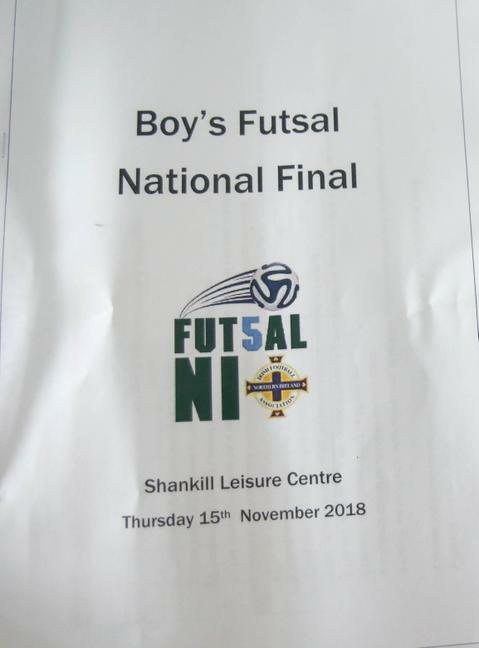 On Wednesday 14th November Nendrum represented Co. Down for the first time in the National Futsal Finals hosted at the Shankill Leisure Centre. All teams had qualified via their respective regional competitions and it was very clear having watched the opening few games that the standard was very high. With spirits soaring and a game plan firmly in place it was soon time for the Nendrum gladiators to display their skills against Ballyclare High. Right from the start every ball was contested and passion was high from both sides. Quickly Nendrum got into their rhythm and they began to create a few goal scoring opportunities that unfortunately were thwarted by the Ballyclare goalkeeper. At the other end Hamzah Sajid was having an inspired game with flawless shot stopping and handling, at times under extreme pressure. One of the officials complimented the team by saying to Mr. McClure, that this was the way futsal should be played. Unfortunately near the end Ballyclare scored a goal via a corner and shortly after the whistle sounded for the end of the match. Although disappointed not to get at least a point from the game the squad regrouped and prepared for the next match. In this game against Omagh C.B.S the team carved out an impressive win with a 2-0 scoreline and then realised that they had to play Our lady and St Patricks College, Knock (OLSP)in the final group stage match. The two schools had met previously in the regional competition with Nendrum at the wrong end of a 3-0 scoreline. Regardless of this statistic the squad were up for the challenge and determined to make amends. This match held great weight with both sides as the victor would emerge to the semi-final stages. At the end of a thrilling encounter with each side playing a great brand of futsal it was Nendrum that emerged victorious with a 1-0 scoreline. At the end there was a mixture of euphoria, relief and fatigue as the squad made their way from the pitch upstairs to the team break-out area to relax. After scaling the few flights of stairs the team was greeted by one of the officials who then requested that Nendrum return downstairs for the semi-final! The team returned to the playing area composed and ready but they faced a very talented Boys' Model team. Although Nendrum opened the scoring the pressure from the opposition was relentless and soon they equalised and then scored another in quick succession. A goal near the end concluded the match and soon the fairytail ending was extinguished. Although disappointed with the scoreline the entire squad reflected upon what they had achieved and were immensely proud. 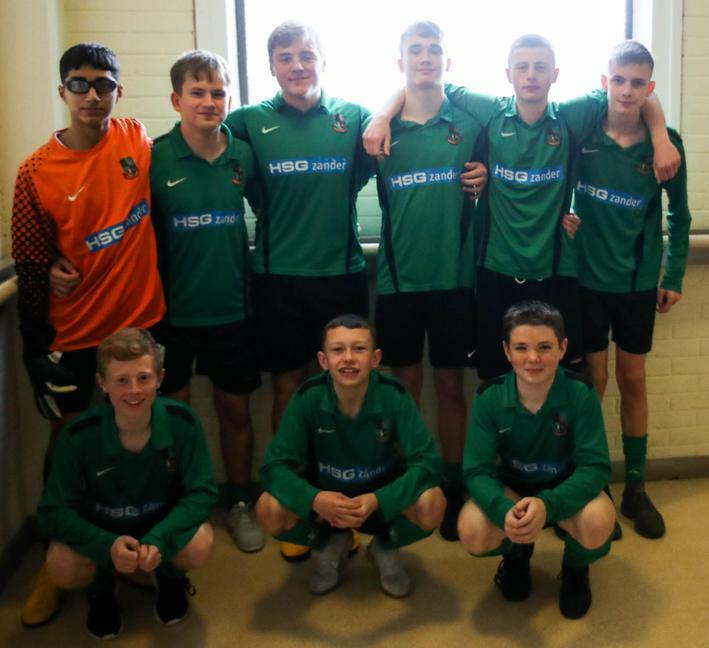 Each and every member of the squad exhibited ambition, skill, determination and sportsmanship in abundance and in doing so firmly put Nendrum College on the map for futsal in Northern Ireland. Thanks to the I.F.A. for organising such a worthwhile and successful competition.